An Anthropologists Theory on Shamanism Says We Can Access Hidden Knowledge In Our DNA! It would be wrong to try to analyze shamanism through science. To a material scientist, the philosophy of shamanism would be a completely foreign domain. There are different aspects and intricacies which comprise mostly of symbolism, allegories and transcendental elements that might not make sense in scientific terms. Therefore, what is needed is an anthropological study of those tribal societies and their practices to arrive at some kind of rational understanding of the principles of shamanism, which make use of naturally occurring hallucinogenic and psycho-active substances that would let one freely travel within metaphysical realms. Apparently, the shamanic explanation of the world and the origins of life might sound ridiculous but it is subject to rational inquiry. 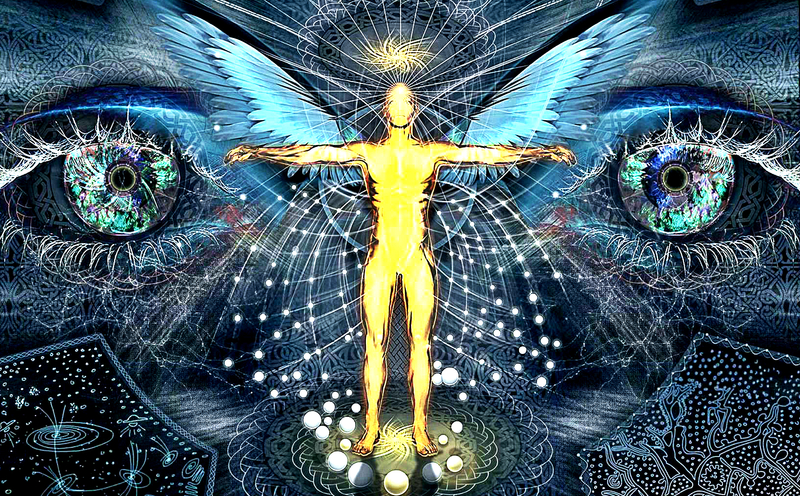 The shamanic view would end up revealing the greatest mysteries surrounding the human consciousness. In order to learn how the holy men of Amazon communicate with the plants and the invisible spirits of the forest, in the mid 80s the author and anthropologist Jeremy Narby set out on his journey to the Amazon rain-forest. 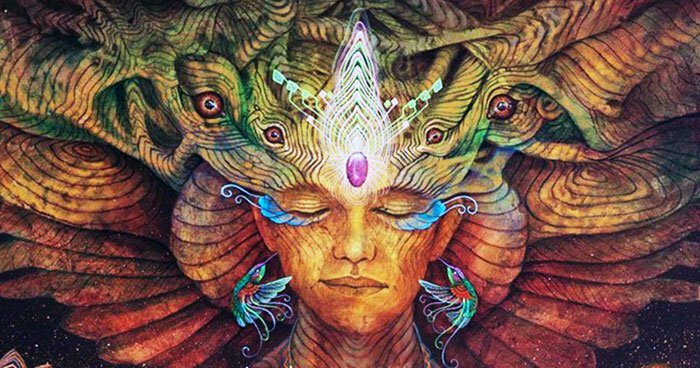 In his highly acclaimed book The Cosmic Serpent: DNA and the Origins of Knowledge we can find that although he set out to make his inquiry on an empirical basis, it is only when he agrees to ingest Ayahuasca, the shamanic plant medicine, that things become really interesting. The paradox of the plant masters is that their extensive knowledge and understanding of the plants of the forest has not been achieved through scientific research but rather, as they claim, through direct communication with the plants themselves. “So here are people without electron microscopes who choose, among some 80,000 Amazonian plant species, the leaves of a bush containing a hallucinogenic brain hormone, which they combine with a vine containing substances that inactivate an enzyme of the digestive tract, which would otherwise block the hallucinogenic effect. And they do this to modify their consciousness. It would be surprising to note that a lot of best-selling and effective medicines of our age were directly derived from the knowledge of the people of the jungle. Yet their claims regarding the way they gathered this knowledge might sound ridiculous to someone from the west. But at the same time it can hardly be denied that shamanic knowledge regarding the innumerable plants is very accurate and it form the basis of the pharmacological model of modern medicine. 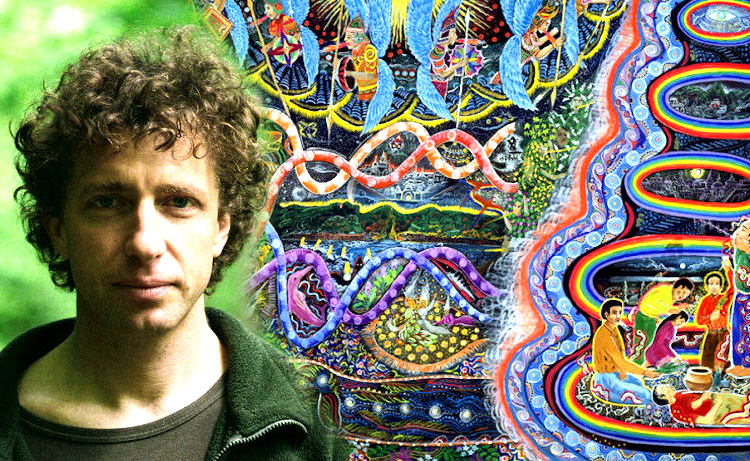 When Narby finally agreed to take part in the Ayahuasca ceremonies in order to gain first-hand knowledge of the connection spoken of by those indigenous cultures, he realized that not only was it possible to communicate directly with plants but also their hallucinogenic trips might help in revealing and accessing the roots of human knowledge that is hidden within the codes in the DNA. “Intelligence comes from the Latin inter-legere, to choose between. There seems to be a capacity to make choices operating inside each cell in our body, down to the level of individual proteins and enzymes. DNA itself is a kind of ‘text’ that functions through a coding system called ‘genetic code,’ which is strikingly similar to codes used by human beings.” says Narby. 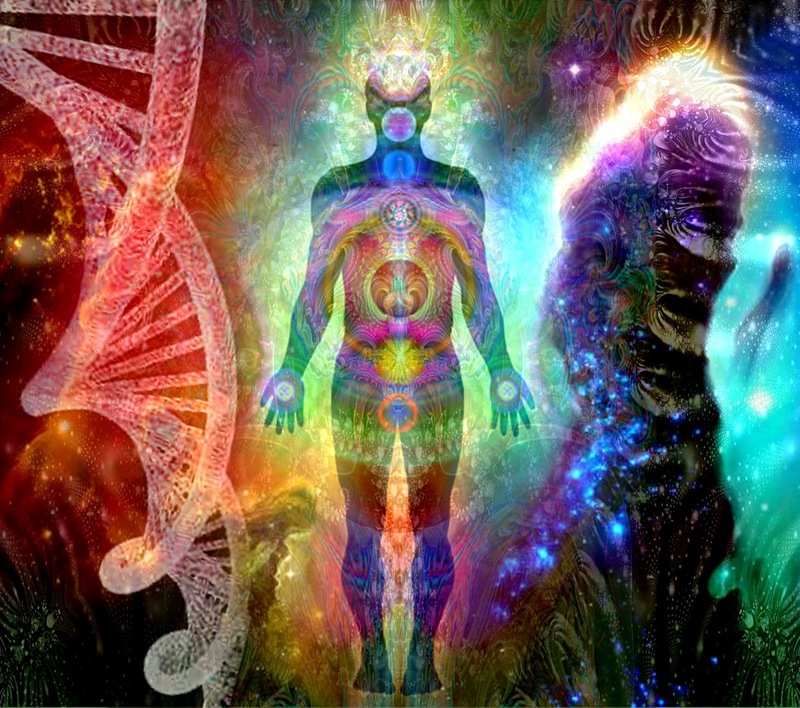 During the time when he was busy analyzing the visions induced by the plants, gathering testimonies from the shamans and studying about DNA, he noticed that the iconic images of intertwining serpents in the cave paintings of past civilizations had an uncanny resemblance with the double helix form of DNA. Narby states: “DNA is a single molecule with a double helix structure; it is two complementary versions of the same ‘text’ wrapped around each other; this allows it to unwind and make copies of itself: twins! This twinning mechanism is at the heart of life since it began. Without it, one cell could not become two, and life would not exist. And, from one generation to the next, the DNA text can also be modified, so it allows both constancy and transformation. This means that beings can be the same and yet, not be the same. One of the mysteries is: what drives the changes in the DNA text in evolution? DNA has apparently been around for billions of years in its current form in virtually all forms of life. The imagery of the serpents representing the double helix is crucial to the understanding whether or not the shamans accessed the codes of life within DNA under the hallucinogenic influence of the plants. From these snakes, Narby went on to define the idea of the Cosmic Serpent, which according to sacred shamanic knowledge is the source of all intelligence in the universe. “This is the observation that led me to investigate the cosmic serpent. I found the symbol in shamanism all over the world. Why? That’s a good question. My hypothesis is that it is connected to the double helix of DNA inside virtually all living beings. And DNA itself is a symbolic Saussurian code. So, yes, in at least one important way, the living world is inherently symbolic. We are made of living language. Both shamans and molecular biologists agree that there is a hidden unity under the surface of life’s diversity; both associate this unity with the double helix shape (or two entwined serpents, a twisted ladder, a spiral staircase, two vines wrapped around each other); both consider that one must deal with this level of reality in order to heal. Narby’s hypothesis opens up the way for a very different kind of inquiry for the scientific community. His study can be truly groundbreaking as it seeks to investigate the origins of knowledge through a very different approach that incorporates shamanism, language, symbolism and consciousness. “I think we should attend to the words we use. ‘Consciousness’ carries a different baggage than ‘intelligence’. Many would define human consciousness as different from, say, animal consciousness, because humans are conscious of being conscious. But how do we know that dolphins don’t think about being dolphins? I do not know whether there is a ‘consciousness’ inside our cells; for now, the question seems out of reach; we have a hard enough time understanding our own consciousness – though we use it most of the time. I propose the concept of ‘intelligence’ to describe what proteins and cells do, simply because it makes the data more comprehensible. I wrote the book because I felt that certain things needed saying. Writing a book is like sending out a message in a bottle: sometimes one gets replies. Judging from the responses, a surprising number of people have got the message loud and clear.” says Narby. It is still a matter of debate whether human beings can directly communicate with their own DNA and uncover its secrets, so that they we be able to influence our evolution. In an age where technology is rapidly progressing and we are getting access to more and more information, the above question becomes extremely relevant. It is indeed unfortunate that with the progress of civilization, human beings have forgotten the mysteries of ancient knowledge. The important question here is whether we might ever be able to recover this and finally be able to determine our future.